Certainly, 23 of those drivers will be chasing five-time champion Scott Dixon of Chip Ganassi Racing, as the Iceman attempts to garner a second consecutive and sixth Indy car title. There are signs of progress in INDYCAR, with new teams, drivers vying for the championship this year. Notably, last year’s pole winner, Robert Wickens won’t be on the grid as he recovers from his Pocono injuries, but two-time, consecutive St Pete winner Sebastien Bourdais of Dale Coyne Racing with Vasser-Sullivan, who lives in the city will be attempting a hat trick. 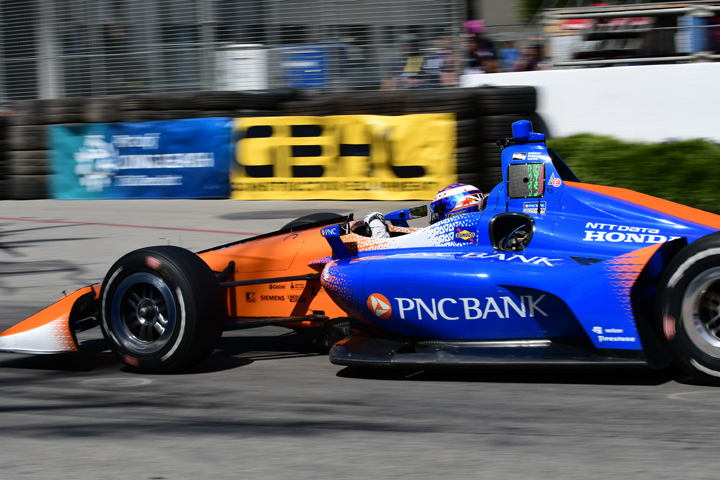 There are five rookies this year: Marcus Ericsson of Sweden is teammate to James Hinchcliffe at Arrow Schmidt Peterson Motorsports, Swede Felix Rosenqvist finally partners Dixon – Chip Ganassi’s had him in mind for a few years. American Santino Ferucci, who raced with the team four times in 2018 will be full-season teammate to Bourdais, new team DragonSpeed has a part-time entry for Briton Ben Hanley while American Colton Herta races the full season for Harding Steinbrenner Racing. 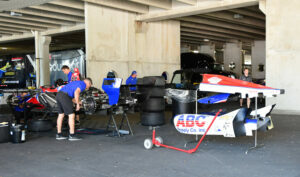 Only a few teams have the same make-up as they did in 2018: Team Penske returns with Josef Newgarden, Simon Pagenaud and Will Power; Andretti Autosport’s all-American team is comprised of Alexander Rossi, Ryan Hunter-Reay, Zach Veach and Marco Andretti; A.J. Foyt Racing brings back Brazilians Tony Kanaan and Matheus Leist; Rahal Letterman Lanigan Racing returns with Graham Rahal and Takuma Sato. Ed Carpenter Racing gives Spencer Pigot his second full season and has Ed Jones for road courses while team owner Ed Carpenter plies the ovals; Carlin is running a full-season campaign for Max Chilton, while Charlie Kimball assumes a part-time role; Meyer Shank Racing is doing a partial season with Jack Harvey for the third straight year. These are the drivers you’ll see this weekend at St Pete, driving with either Chevrolet power (10 cars) or using Honda’s V-6 engine. 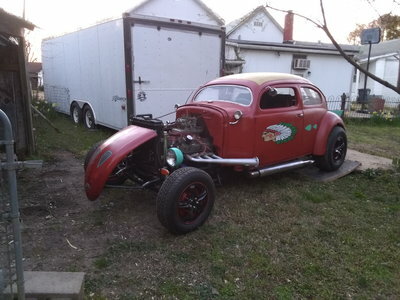 One nice return in 2019 is the LED displays seen on each car’s engine cover. 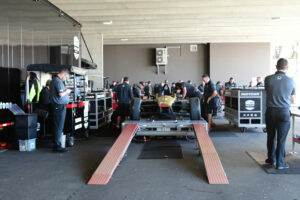 INDYCAR had reliability issues with last year’s displays and discontinued using the panels shortly after the start of the year; they’ve adopted a display similar to that used by sportscar sanction IMSA for its various classes, also supplied by MoTeC. The display highlights running position at each timing loop in red, indication that a driver is using push-to-pass with a green, flashing PP, as well as pit stop duration. The NTT IndyCar Series has some bona fide sponsors in the mix, something that couldn’t be said a few years ago. Arrow has stepped up from its sponsorship of Hinchcliffe to partner with Sam Schmidt and Rick Peterson, hence changing the name. ABC Supply is a staunch, paying partner with Foyt, SealMaster is Bourdais’ primary sponsor, joined by Mouser Molex. Hitachi, Verizon and Menards pair, once again, with the three Team Penske drivers, Tresiba is supporting Charlie Kimball while Gallagher works supports Chilton, AutoNation, along with SiriusXM rides with Harvey’s Meyer Shank entry, while PNC Bank and NTT Data align with Ganassi and United Rentals and Panasonic are back with Rahal Letterman Lanigan. It looks like the weather won’t impede the proceedings – which are likely not to be a line dance on St Pete’s very physical track – as there’s but a 10% chance of showers all three days. A warmup is in the cards with temps in the high 70s to around 80 degrees. In other words, great weather for racing and for watching racing. 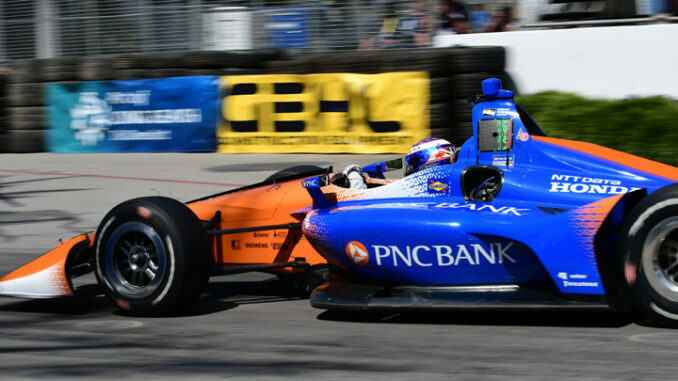 The 198 miles of Firestone Grand Prix of St Petersburg are set to take the green flag at 1:37PM EDT (daylight savings time begins Sunday), while NBCSN coverage starts at 12:30PM.